Jablonski, Bernard J. Age 55, Park Forest resident, formerly of Chicago’s Northwest Side/St. Genevieve Parish. A graduate of Weber High School and St. Louis University. 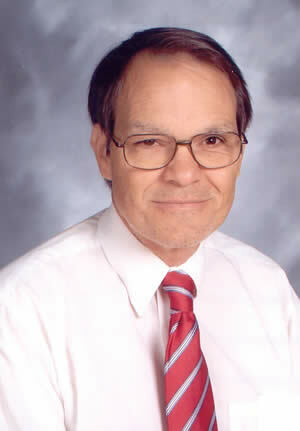 Bernie taught drama and english at Marian Catholic High School for many years. He was an active member of The Drama Group, and a Docent with the Chicago Architecture Society. Son of the late Josephine (nee Nowak) and Bernard E. Jablonski; brother of Leonard (late Judy), Edward, and James (Judy) Jablonski, and Mary Jo Jablonski Wenmouth; loving "Uncle Beej" to his many nieces and nephews; husband of Kathleen O’Hanlon; beloved friend, faculty member and fellow thespian. Resting at Panozzo Bros. Funeral Home, 530 W. 14th St. (U.S. Rt. 30, 3 Blks E. of Western Ave) Chicago Heights on Monday, November 25th from 3:00p.m. to 9:00p.m. Funeral Tuesday 9:45a.m. to St. Agnes Church, Chicago Heights. Mass 10:30a.m. Burial St. Adalbert Cemetery, Niles, IL. 708 481-9230.